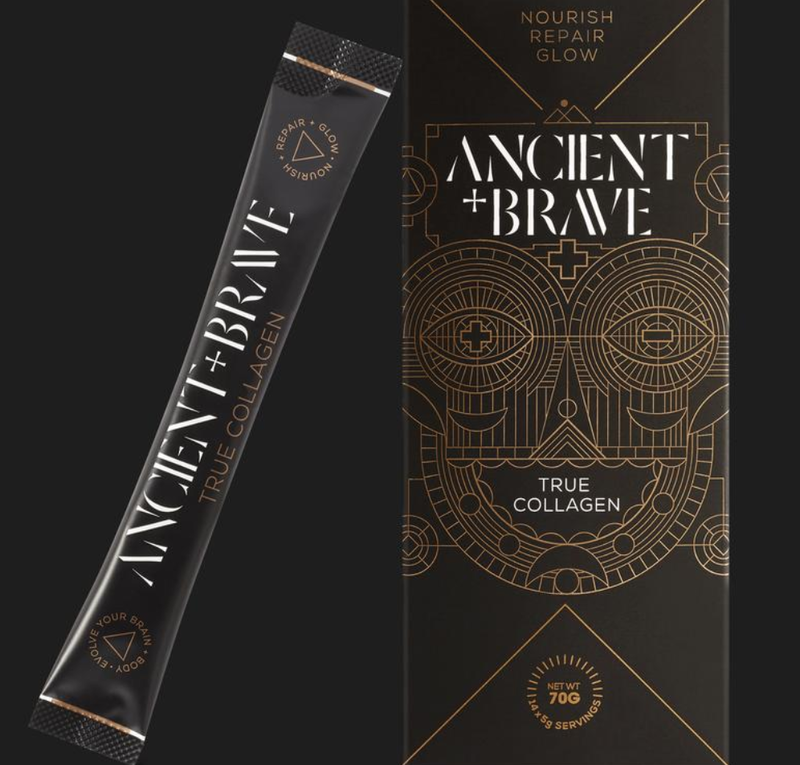 Ancient + Brave is a new cutting edge brand which allies ancestral health with todays science. Through their proven blend of ancient knowledge and scientific research they provide some of the most cutting edge wellness products and lifestyle strategies available today. Their range of high performance products has benefits such as enhanced focus, improved gut health and digestion, healthy tissue repair, glowing hydrated skin and better sleep. True Collagen is of the highest quality and purity available. It is a pure sustainably sourced grass fed bovine collagen - it is odourless and tasteless, mixing easily with COFFEE + COLLAGEN and CACAO + COLLAGEN water or smoothies. It is highly absorbable and designed to replace the vital proteins that diminish as we begin to age. Packed full of potent amounts of key amino acids our hydrolysed collagen helps repair the skin, nourish the brain and enhance natural beauty. Experience faster tissue repair, stronger bones and joints, improved digestive health, increased athletic performance, more restful sleep, and glowing hydrated skin. The Merit Club members can receive 15% discount off online.